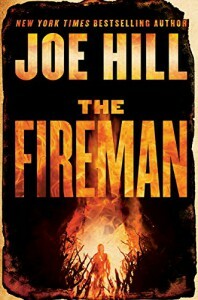 So, I haven’t written a review for The Fireman because it’s taken me a while to get my thoughts together for this book. There was a pretty mixed blend of things I liked and things that I didn’t like. First of all, the concept for The Fireman was great. Only my expectations of Harper and the Fireman were completely different. What I expected the characters to be was so far from what I got. I’d assumed because of Harper’s determination to keep her baby, she’d be someone who’d be more smart and not as naïve. There were so many moments in the book where Harper would be so upset when people would do something wrong or she “would have thought better of” this and that. The world is ending Harper! You’re NOT Julie Andrews because she didn’t live in an apocalyptic world! Get real! What happens in a disaster?! People change, they turn, their goal is dominance and/or survival! The Fireman was just annoying. In my opinion. I didn’t really enjoy his character and where is story eventually ended up was just predictable for me. I knew exactly what was going to happen and it did. The other side characters such as the Father, Allie, Nick, Ben, Don, Michael, Rene, and Carol were a hit or miss for me. Hated Allie, Ben, Michael, and Carol and actually liked Nick, Don and the Father. I wish characters like Allie were consistent and made sense, but I found that I had an extreme dislike to her. The story was just too long. I can give a nice lengthy list of many things that could’ve been taken out of here. Although the premise was interesting, and Joe Hill shows a good representation of sociological groups and the need to protect and survive, a lengthy story with too many inconsistent characters that I didn’t enjoy really made the story fall flat for me.